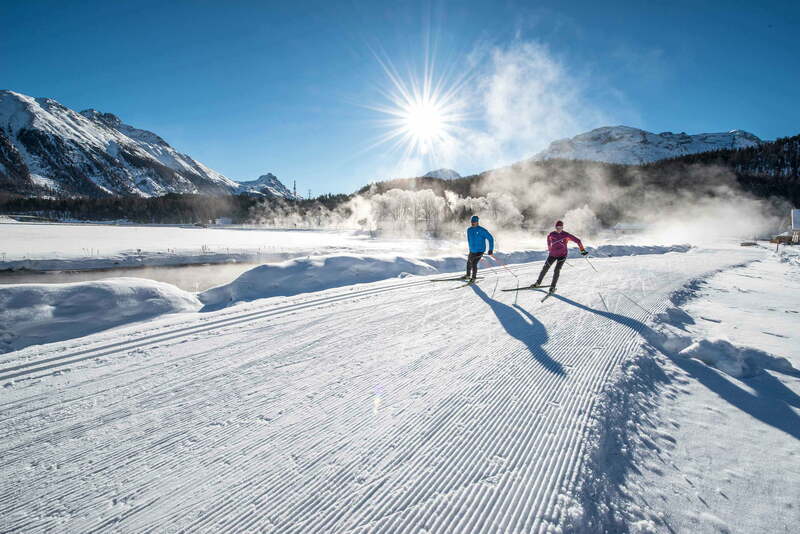 Every winter, skiers from around the world flock to St. Moritz to enjoy its diverse cross-country skiing trails, awe-inspiring Alpine panorama and the world-famous Engadin Ski Marathon route. 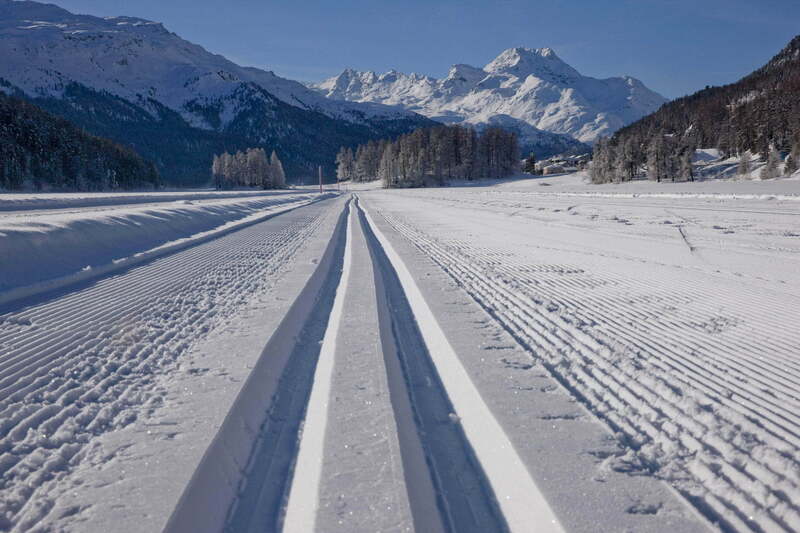 Majestic mountain peaks, gently falling snow and crisp winter air: the 230-kilometre cross-country skiing network around St. Moritz is the ideal place for gliding through the woods and letting your thoughts wander. The region is a veri-table paradise for cross-country skiers, not only because of its diverse landscape, but also on account of its unbeatable trail quality and guaranteed snow cover. 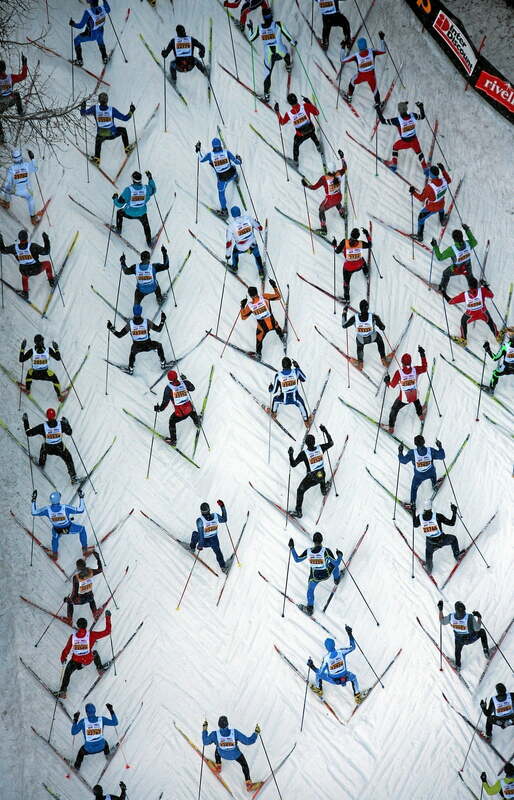 Particularly ambitious skiers can put themselves to the test on Switzerland’s most renowned 42-kilometre trail. The challenging Engadin Ski Marathon route from Maloja to S-chanf is the stuff of legend. Also quite demanding is the five-kilometre Palüd Lungia trail between St. Moritz and Silvaplana/Surlej, with its steep climbs and tricky descents. 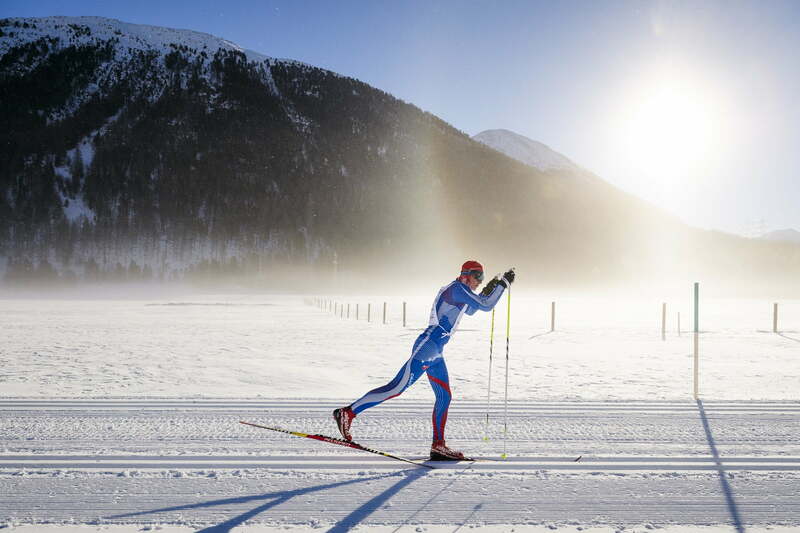 Those seeking even more of a thrill can continue honing their technique on one of the night-time trails in St. Moritz, Pontresina or Zernez. Thanks to these illuminated trails, cross-country enthusiasts can skip the après ski and continue skiing until well after dark. However, if you prefer a gentler pace, you can ski the Direttissima across the frozen Silsersee, Silvaplanersee or Champfèrersee lakes, or enjoy one of Engadin’s longest cross-country trails at Zuoz. Meanwhile, the Diavolezza valley train station is the starting point for going sky high. From here, a high-altitude cross-country trail winds its way through the snow-covered winter landscape, enabling skiers to race the slowest express train in the world – the Bernina Express. Even as the snow in the valley gradually begins to melt, cross-country skiers can continue skiing on the Bernina Pass (2,330 m a.s.l. ), usually until the end of April, before finishing off the season on the easy Alp Bondo high-altitude trail.